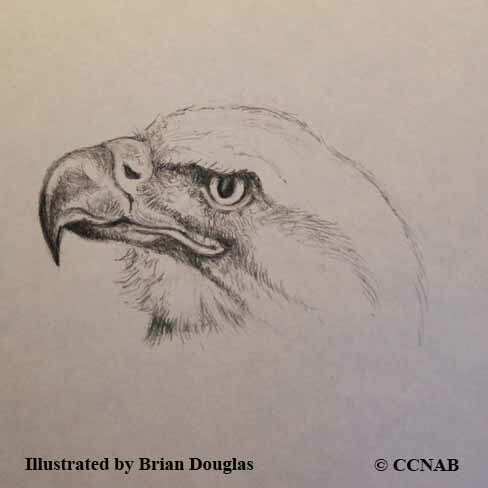 The eagles are the largest members of the raptor family. In North America we have at least four types of eagles, the Bald Eagle and the Golden Eagle are residents of the continent. Both of these birds share the same areas into the far north in the warmer seasons and down to the southern states and Mexico in the winter months. The eagles were listed as endangered birds but with the aid and protection given to them, they are once again becoming a common sight. Two other eagles are visitors from Asia and Eurasia and find their way to North America through the Aleutian Islands. They are the Steller's Sea Eagle and the White-tailed Eagle, also known as the "Gray-sea Eagle". These large Asian birds of prey have been seen in the western regions of Alaska's mainland and out on the Aleutian Islands.